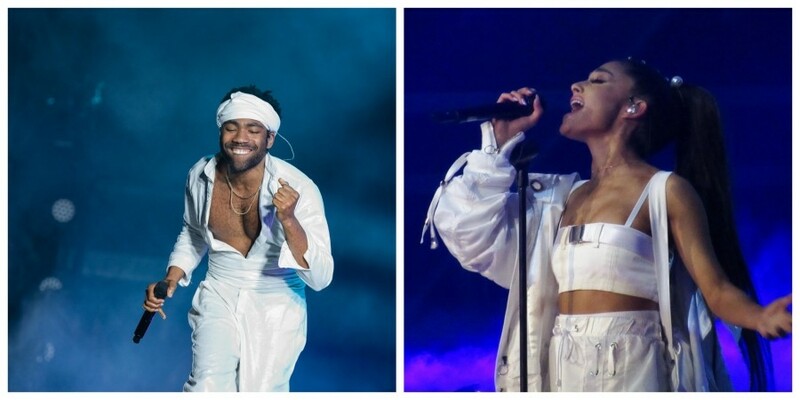 This year's Lollapalooza headliners include Childish Gambino and Ariana Grande. This morning Lollapalooza organizers announced the lineup for their four-day Chicago festival, headlined by Ariana Grande, Childish Gambino, Twenty One Pilots, and the Strokes. There’s usually an odd act out at the top of the bill, and this time it’s the Strokes, who most recently headlined Lolla in 2010—critics were fond of the 2017 oral history of 2000s New York rock, Meet Me in the Bathroom, but otherwise the Strokes have barely moved the needle in the past nine years. The rest of the headliners suggest that Lollapalooza organizers are redoubling their efforts to book artists that young fans want to see. Despite those efforts, though, I'm not sure Lolla will rebound from last year's noticeably slower sales. Previous to 2018, in recent years the fest had almost always sold out the day tickets went on sale, before the lineup even came out. In 2017 it counted as a slow sales year when four-day passes took almost three hours to sell out, but last year they took eight days—and you could still buy single-day tickets for Sunday when the fest started. This year, four-day tickets have increased slightly in price, from $335 to $340 for GA. Taxes and fees come to nearly $69 (though you can cut that to $57 if you skip the very skippable "collectible credential”). Even longtime fans might be getting a little weary of prices like that—and of Lolla’s potentially exhausting sprawl, with nearly 200 acts playing on eight stages over four days. As recently as 2015, its schedule was a more manageable three days. That said, anybody complaining about Lollapalooza and its relationship to Chicago music needs to address more than the festival’s lineup. Live Nation, the entertainment company that owns a controlling interest in Lollapalooza's promoters, C3 Presents, has a history of monopolistic behavior and will play an unknown role in Sterling Bay's massive $6 billion Lincoln Yards development, whose $900 million TIF district has already been approved by Chicago’s Community Development Commission. We still don't really know how involved Live Nation will be, but the city’s choice to subsidize the biggest international player in the industry will mean trouble for Chicago's largely independent live-music infrastructure. I'd hope that people who care about the local scene will think twice before indirectly paying Live Nation by buying Lollapalooza passes. But I’m realistic—I know that if anybody decides not to spend $400 on Lolla tickets, it’ll be because Shaquille O'Neal will just be DJing, not performing the rap songs off the 1993 platinum album Shaq Diesel. Lollapalooza will take place Thursday, August 1, through Sunday, August 4, in Grant Park. Below is the full lineup, including links on artists' names that'll take you to the best previous Reader coverage. The Weeknd, Bruno Mars, Jack White, and the Arctic Monkeys headline the massive Grant Park festival in August.